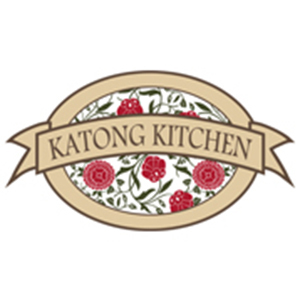 Subscribe to get deals from hundreds of merchants including the best of Village Hotel Katong, Katong Kitchen! The Offers are only available via the ENTERTAINER with HSBC programme. For more information, visit hsbc.com.sg/entertainer The Offers are valid for dine-in only, unless stated otherwise. The Offers are only valid on food bill. The Offers are not valid in conjunction with other promotions, privileges and vouchers. Prior reservation is required and subject to availability. HSBC is not the supplier of and accepts no liability for the goods and services provided by the Merchant involved in this Programme. In case of any dispute, the decision of HSBC and the Merchant shall be final. Discount is not applicable on service charge and taxes.. Please always check with the merchant on the validity of the promotion before purchase. The Offers are only available via the ENTERTAINER with HSBC programme. For more information, visit hsbc.com.sg/entertainer The Offers are valid for dine-in only, unless stated otherwise. The Offers are only valid on food bill. The Offers are not valid in conjunction with other promotions, privileges and vouchers. Prior reservation is required and subject to availability. HSBC is not the supplier of and accepts no liability for the goods and services provided by the Merchant involved in this Programme. In case of any dispute, the decision of HSBC and the Merchant shall be final. Discount is not applicable on service charge and taxes. Mon to Thu only, excluding Eves of and on Public Holidays. Promotion valid from 3 Sep to 31 Oct 2018, from Monday to Thursdays, excluding Eve of and on Public Holidays.. Promotion valid for dine-in lunch and dinner buffet only. Not applicable for ala-carte.. Lowest denomination will be complimentary.. The 2 lower buffet rates will be complimentary.. Reservations are highly recommended.. Valid SAFRA card must be presented during payment for promotion to be valid.. Limited to one (1) redemption per card.. Promotion not valid with other promotions, privileges, discount cards, loyalty cards and promotional vouchers.. Merchant reserves the right to amend / append / withdraw terms and conditions without prior notice. In event of dispute, the decision of the merchant is final, no further correspondences will be entertained.. SAFRA is not an agent of the merchant. Any dispute regarding the quality or service standard must be resolved directly with the respective merchants. SAFRA will not assume any liability or responsibility for the acts of the merchants or any defects in products or services offered in the promotion.. Please always check with the merchant on the validity of the promotion before purchase.